We started watching The Sinner on Netflix last month (who else is hooked?!) and now this song is stuck in my head! Quentin and Lottie are the epitome of a modern matrimonial nightmare: too angry with each other to stand marriage any longer, yet too broke to go their separate ways. Stuck with each other, at least for the present, and forced to downsize their living expenses, they leave London for a countryside rental until they can get back on their feet and formally part. Of course, things don’t pan out the way they intend, and soon enough the couple finds they have bigger problems at hand than budgeting for a divorce…things like the murdered tenant who last occupied their home. Who would kill a quiet piano teacher, and why? And are they still lurking nearby? The Lie of the Land is basically the literary version of those BBC crime dramas I’ve loved all my life: a rural gathering of mixed classes, from the slightly-better-off outsiders to the farmers who have lived in this town for years to the immigrants finding out the promise of a better life in Britain doesn’t necessarily hold true for all. Mix in a headless corpse, a creepy housekeeper, and the reclusive aging rock star who lives at the edge of town, and, well, you’ve basically got the formula for a juicy, dark, slightly comical British mystery. On the subject of the murder itself: honestly, it takes a backseat to all of the other drama in the book, but that isn’t a bad thing. 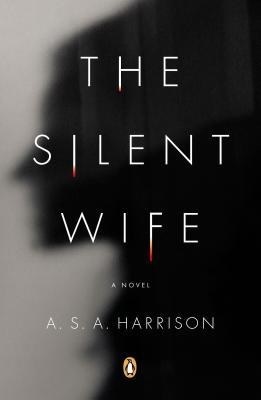 It’s still an enjoyable whodunit in the background, just be aware that this book is less straight crime thriller and more atmospheric drama with a mystery woven within. What pushes this book a notch above the pack is the way Craig wields a pen; she’s one of those writers with the gift of making the words flow along in such a way that you’re entirely unaware of how many pages you’ve read until you hit the end. It’s like slipping right into the storyline and standing there in the damp outside the farmhouse, or on a London street, watching these characters all take turns bickering and lying, having the omniscient eye that sees how each story doesn’t match up and wondering just how long they think they’ll keep on like this. They all have something to hide, even as they get angry at each other for keeping secrets. I think that’s part of what made this such a compulsive read: even as you loathe the characters in turn, you also find reasons to sympathize with them, and then by turns want to shake them. I found Quentin absolutely deplorable (an intentional choice on the author’s part, I think), but I also found the relationship with his parents to be surprisingly sad and touching. Anna was another character that both found my pity and my exasperation for some of her choices (no spoilers, but you’ll see what I mean at the end!). The overarching theme here seems to be that every relationship, no matter how it looks from the outside, involves some kind of whitewashing within. These characters alternately judge each other for the flaws in their marriages or mistakenly believe their neighbors have found a way to avoid problems, but in the end, the idea of a “perfect” relationship is a lie. But is that a bad thing? Is there a way to get past the imperfections or indiscretions and still be happy? I’ll let you read The Lie of the Land and decide for yourself if these characters manage to do so, or if believing it’s possible is yet another lie being told! 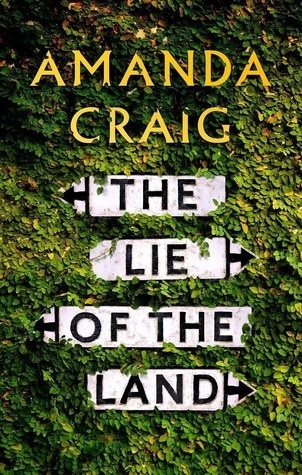 The Lie of the Land, by Amanda Craig (paperback, 432 pages). Mystery, drama, British literary fiction. Four out of five stars. 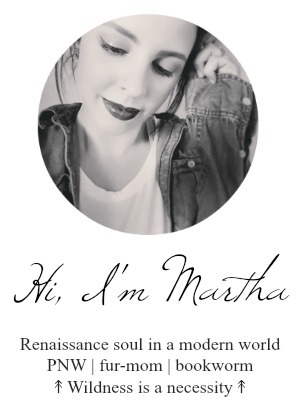 View it on Goodreads and don’t forget to friend me while you’re there!